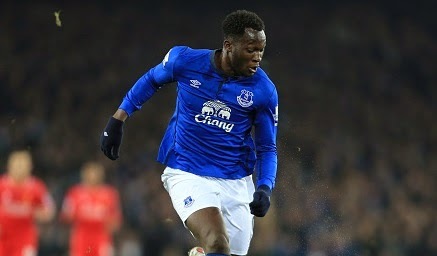 Tottenham eyeing Romelu Lukaku Tottenham Hotspur are targeting Everton forward Romelu Lukaku who could be on his way out of Liverpool in the summer, as per Sunday Metro. Tottenham Hotspur are targeting Everton forward Romelu Lukaku who could be on his way out of Everton in the summer, as per Sunday Metro. Romelu Lukaku recently revealed that he wants to move to a better club despite of spending difficult times at Chelsea. The Belgian joined Everton last summer from Chelsea in a £28million deal after impressing at Goodison Park last season on loan. The 21-year-old is unhappy with the form of Everton this term. They are currently sitting on 12th spot with 27 points in the Premier League. Lukaku himself has not been impressive this season, he has scored 10 goals in 33 appearances in all campaigns. Meanwhile, Tottenham who are already short of quality strikers are now alerted with his comments and are hoping to seal his deal in the summer. The Belgian is keen to return to Chelsea only if they are willing to offer him a regular place which is unlikely to happen. Spurs boss Mauricio Pochettino is keen to sign him. Spurs have only Harry Kane as their inform striker. Emmanuel Adebayor and Roberto Soldado both have not been impressive and are likely to leave White Hart Lane in the summer. Spurs have also targeted West Brom striker Saido Berahino who is also set to leave the club at the end of the season.